My Christmas was fabulous and I was spoiled with all these amazing presents from everyone. I actually have more but it would be so long to share them all so I just share a few. First thing on Christmas morning we have to check whether Santa visited us and so he did. My stockings was so full of presents and Mummy and lil brother too. He was so good to brought us all those goodies. And that was not only it because the entire family (Grandparents, Great Granny, Great Aunties, Aunties and so on) had given us loads of presents. By Christmas Lunch we head down to my Grandparents house and there we had Roast Turkey then opening presents. I had so much fun and oh my I had exactly what I wanted for Christmas. It was awesome! This Nientendo was my greatest wish this Christmas and so Mummy and Daddy bought it for me and game case as well as a nientendogs game. And a pair of shoes from my Auntie Amanda and I love it so much. 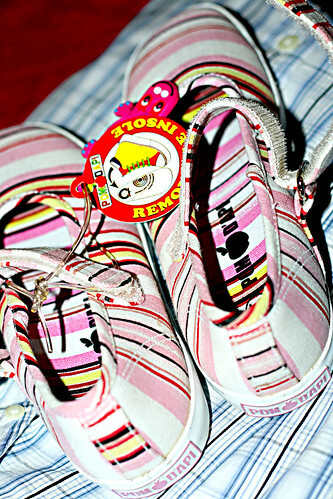 She gave me shoes last year too and until now I am still using it becuase of its good quality. 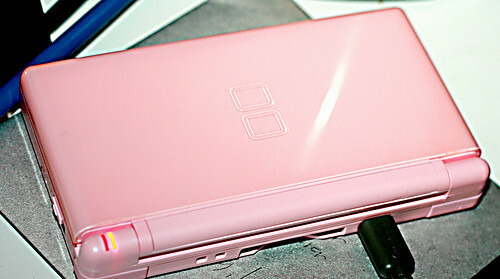 Here's my pink Nientedo that I got from my parents. They are so kind and generous and so, I am thanful for having such a great parents. Of course, Grandma and Grandpa would not want to be left out. 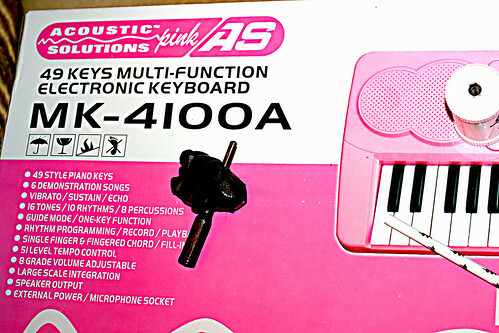 They also gave me this superb KEYBOARD and, what more is, it is a pink one. I so love it. 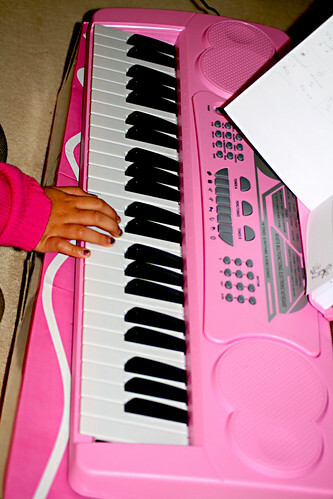 Aside from Keyboards I also got some other toys from my Grandma and Grandpa. And this beautiful jewelry is from my Great Auntie Susan and Uncle Peter. I'm loving every Christmas because I really get spoiled by everyone. How about you guys? I hope you had a fantastic Christmas too!